Bangkok: The visit of Yingluck Shinawatra, Thailand's first woman Prime Minister, to India next week will strengthen the rapidly increasing economic and political ties between the two maritime neighbours. Yingluck, 44, the youngest sister of former premier Thaksin Shinawatra, is the chief guest at India's Republic Day Parade at Rajpath this year. She will arrive in India on Tuesday. The photogenic premier, who is known for her chic fashion sense, is reportedly the youngest chief guest at the Parade in the last three decades. The chief guest at the 2010 and 2011 parades were South Korean president and the Indonesian president. The young premier, known for her penchant for off the rack designer wear, will be leading a high-profile 100 member delegation during her three-day visit to India including the foreign minister and defence minister and a host of businessmen. "New Delhi looks forward to this visit as an important milestone in the relationship between India and Thailand, and is confident that the visit will give a huge boost to the already strong ties between the two countries and lead to economic prosperity and greater connectivity in India and Thailand which are maritime neighbours," Anil Wadhwa, India's ambassador to Thailand, said. Yingluck, during her short visit to India, plans to visit the Taj Mahal in Agra. Officials from India and Thailand will also hold talks covering several fields including trade, science and technology, defence and consular matters. 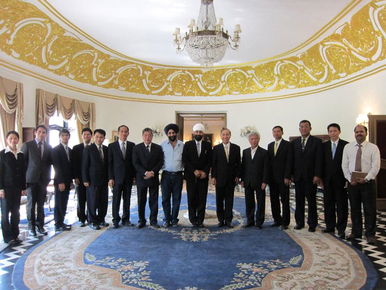 "Thailand is a good interlocutor in the Asean, and we see potential," Wadhwa said. "Extradition is one of the areas which will be taken up with the Thai side," Wadhwa said adding that India and Thailand had an "extradition arrangement" in place since 1982. The last extradition treaty was signed by Thailand decades ago in 1902. The envoy said negotiations were over regarding "exchange of sentenced prisoners" and added that a mutual legal assistance treaty in commercial matters, a complement to extradition treaty, would be entered into by the two sides. "We have a joint working group on security, exchanging information on all security issues like terrorism, counter-terrorism and other intelligence issues which we can help each other with," the envoy added. 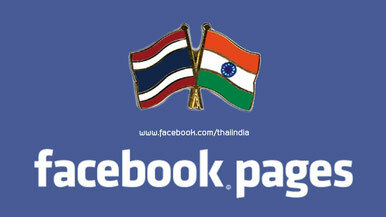 India and Thailand signed the Free Trade Agreement (FTA) in 2003, which became effective in 2005. The focus of talks between Yingluck and the Indian leaders will focus on economy and investment and a declaration to finish the Comprehensive Economic Cooperation Treaty (CECA) by 2012 at the prime ministerial level. "Talks have picked up momentum," Wadhwa said adding that several MoUs are expected to be inked during Yingluck's visit in the fields of trade, culture, defence, science and technology and consular matters. India wants to expand defence cooperation with Thailand, Wadhwa said stressing that it was important to hold talks on coast guard cooperation, with sea piracy cases frequently reported. The envoy said that Thai businessmen were also eager to take part in the booming Indian economy citing the example of CP Group which was interested in shrimp farming, poultry and setting up "quick chicken" kiosks along the highways. India is also looking at joint projects in connectivity like the trilateral highway project involving Myanmar. Trade is rapidly picking up between the two countries with official figures noting that bilateral trade had multiplied six times since 2000, touching USD 7.46 billion in November 2011. According to the January-November 2011 figures, Indian exports to Thailand were USD 4.72 billion, while imports were USD 2.74 billion dollars with the trade balance at USD 1.98 billion. 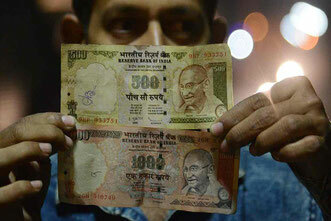 The growth rate has shot up rapidly over the years from 2.66 per cent in 2002 to 23.38 per cent by 2011. 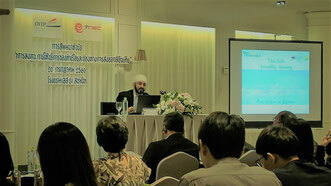 Indian companies too have expressed keen interest to enter Thailand. There are 45 Indian companies operating here. India and Thailand do not compete directly with each other - the Thai jasmine rice is different than India's Basmati, India's strength is in software while Thailand is known for its hardware etc. A total of 250,000 Indians live in Thailand out of which ethnic Indians, mostly Sikhs and Sindhis, number 90,000 while the rest are expatriate Indians. The ICCR is planning to set up a "India Centre" with a Bangkok University, Wadhwa added. A local daily Phuket Express in a write up about Yingluck said the Thai premier was known to be terrified of geckos. A mother of a nine-year-old boy, Yingluck is married to Anusorn Amornchat, a business executive.